Every well-trained Virginia girl knows how to cook, but beyond that, every well-trained Virginia girl knows how to bake biscuits. Biscuits are that essential companion to the almost-too-salty-but-not Virginia ham for which we've become famous. 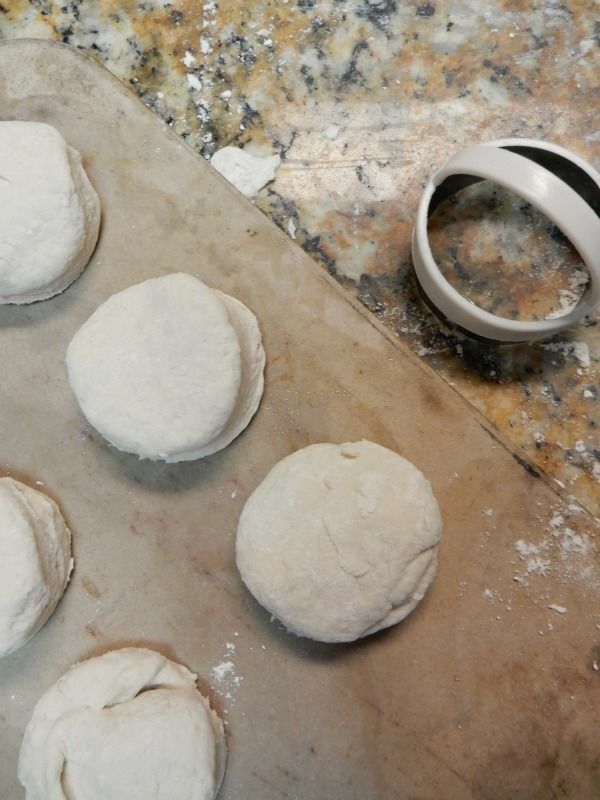 Biscuits are the canvas on which we paint too much apple butter. Biscuit dough is what you fold around a block of razor-sharp cheddar cheese before baking. Biscuits are always made from scratch and what we always choose for a birthday breakfast. Biscuits are what you are mad at Cracker Barrel for limiting to one-per-guest. Biscuits are, to the Virginia girl, what grain-bowls are the PNW blogger-stylist-photographer chick: her traditional fare, her secret weapon. Her life-hack for everything from a pot-pie crust to what to serve alongside a bowl of soup or with a hefty salad. Gone are the days when we can brainlessly make biscuits daily. I mean, I'm a biscuit-fan (favorite breakfast food – putcha' hands up!) but I can't condone having them very often. Health reasons and all that. Still, having a Biscuit Arsenal to my credit is part of my identity as a Virginia native. Not just one recipe, but several. Not just one memory, but two-hundred. Today, I'm sharing the ultra-simple, frighteningly-easy Whipping Cream Biscuit. Just two ingredients: self-rising flour and whipping cream. It's a two-to-one ratio which you simply cannot mess up. These biscuits don't have the shattering butteriness of the more involved traditional biscuits and their texture isn't as delicate. But when you're simultaneously working on the roux for your macaroni and cheese, boiling pasta, chopping a salad, and baking ham, you're gonna be glad you knew this recipe. Snip, snap, snout, my tale's told out. Combine ingredients and stir till dough comes together. 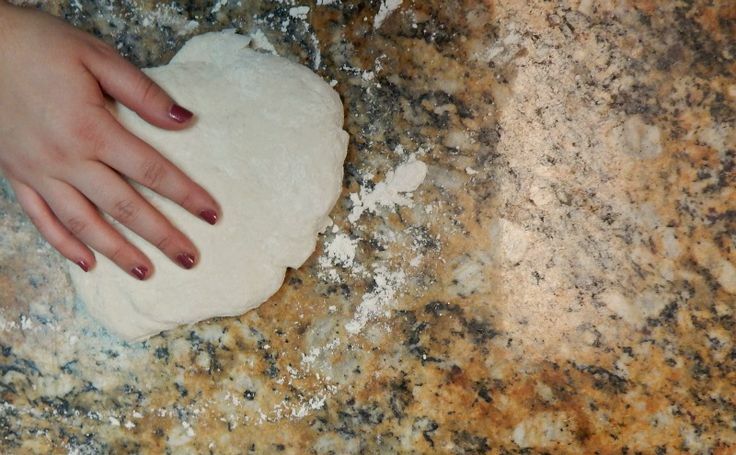 Turn onto floured surface and knead ten times. Roll to 1” thickness and cut with biscuit cutter. Arrange on stone pan and bake in 450 degree oven for 10-15 minutes, until the tops are golden. Serve warm with good butter or a fruit compote. 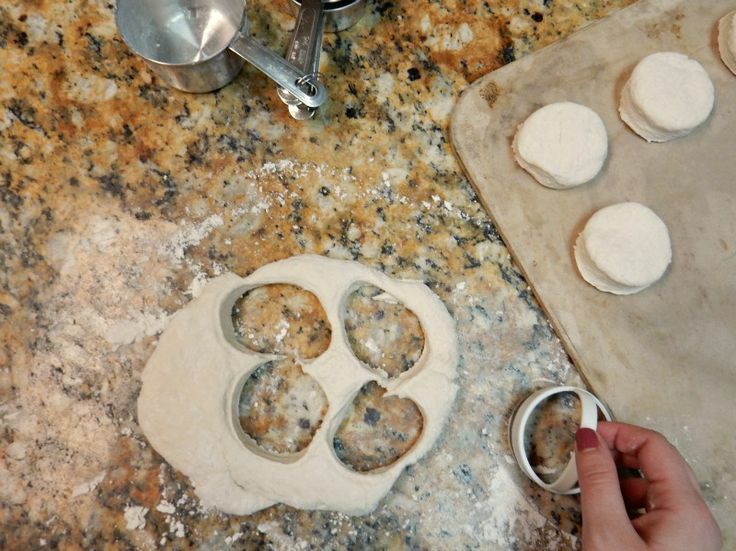 Variation: Cinnamon Roll Biscuits – roll dough into 1/2” thick rectangle. Spread a thin layer of butter over its surface. Rub a generous teaspoon of cinnamon into the butter and follow with several tablespoons of sugar. If desired, add raisins. Roll into a log and cut into 2” thick slices. Bake as directed and serve with a powdered sugar glaze. Yum! I will definitely try these. I love a good biscuit, and these look amazing. These look delightful, like their name. Thanks, Skye! You should try them - nothing easier. Biscuits are such a huge part of my life :) These look cool!